Do you have an idea for an art, greening or garden improvement project on public land? 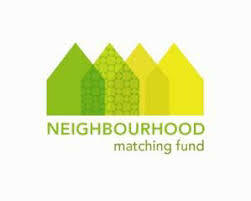 Are you interested in involving neighbours in your project? Do you need support developing an idea? Please send, post, forward the attached flyer to anyone in your networks who may be interested in more information about the Neighbourhood Matching Fund. The funding is part of the BC Ministry of Social Development – Employment and Labor Market Division which is similar to income assistance and is part of the Employment program. The funding moved from the Federal level to the Provincial level. The funds are specific for Work Experiences. There is a new stream for ‘Social Innovation’. Depending on the projects, they have funded anywhere from $200,000 – $500,000. The total amount of funding has increased since 2015 from $8 – 16 million dollars. 1. Job Creation Partnerships – provides funding to organizations to assist with local projects that provide useful work experience and skill enhancement opportunities to eligible job seekers to help them obtain sustainable employment. Projects should benefit the job seeker, community and local economy, however the primary focus must be on helping the participant. There is a ‘contribution agreement’ – in kind where staff could donate time, space or an office, etc… for the project. Example: Powell River City Council wanted someone to work on a diversity, social inclusion plan. They brought in 3 people that included Conference and Researching planning and they showed what they could do and what the City could do. Process was pretty flexible. 1. Labor Market Partnerships – funds projects that encourage and support employers, employee and/or employer associations and communities in developing and implementing strategies for dealing with labor force adjustments and meeting HR requirements. Projects may include researching labor market/human resource adjustment issues and developing and implementing labor market adjustment activities. These are project based and are distinct from the ongoing operations of the applicant. Basically you are looking at a gap between Labor Market shortage. *Example: Whistler Hotel had a gap in supply and demand so they funded their research. 2. Project Based Labor Market Training – provides funding to organizations to assist with local projects that provide a combination of on and/or off the job employment training to eligible participants to help them obtain sustainable employment. This is a combination of training and work experience. Example: There was a shortage of people in a particular market so the applicants were trained in an educational institution and fast tracked into some housekeeping positions (There was training provided and 60% was work experience. 3. Research & Innovation – provides funding for eligible projects to explore and/or find untried and untested methods of delivering programming to help individuals find or return to work as quickly as possible. *Example: funded MOSAIC on a project where they brought in research subjects together to test a new business design model for new immigrants. Another one was for the Fraser Health Authority in finding cognitive remediation on employment planning to work with barriers such as mental health issues. 4. Social Innovation – expands the scope of the Community and Employer Partnerships (CEP) program to support innovative projects that address social challenges beyond unemployment. It focuses attention on new ideas and approaches to address complex and ongoing social problems. The CEP funding streams support socially innovative projects with a focus on community needs and support improved employment related outcomes for unemployed project participants. *Example: funded an 8-week Training session for the Stolo nation where artists involved in the projects received a royalty for each piece they created – helping them set up a model. Do you have an idea that will enable seniors to share their knowledge, skills and experiences with others, and help communities increase their capacity to address senior and local issues? The New Horizons for Seniors Program (NHSP) helps to ensure seniors will benefit from, and contribute to, the quality of life in their communities through active living and participation in social activities. In anticipation of the next NHSP Call for Proposals, the Government of Canada will provide information to help you with the preparation of your application. •providing capital assistance for new and existing community projects and/or programs for seniors. NOTE: To be prepared for the next Call for Proposal, it is strongly recommended to attend one of the upcoming NHSP information sessions. Times and locations will be forwarded to you in the near future. If you would like to attend and or possibly host a session, please contact 604-658-8451 or e-mail W-T-CSPD-SCEP-NHSP-PNHA-BC-GD@servicecanada.gc.ca at your earliest convenience so that we can make arrangements. Thank you for your interest in the program and please feel free to pass this on to other senior led organizations or groups that you think may be interested.